Ever since the popularity of email, e-books, and other digital documents, we think that we already live in a “paperless century.” But the advent of the digital age has not kept us from the reality of life that we are in a constant need of paper. Postcards are one of the paper products still widely used today. A postcard is a piece of rectangular thick paper that is used for mailing without an envelope. People usually make it a memento for their travels that they can send to their loved ones, yet business owners also used it to reach out to their potential clients. Simplicity is key. The less clutter, the better. Keep it simple rather than cram in huge loads of graphics and text. Less is more when it comes to designing. The more visual elements you include, the greater the visual clutter there is. This tends to bother the receiver since there are a lot of things to process. Try to catch your receiver’s attention through the use of simple designs, and only show important information so that you can compel people to complete your desired action. 2. Create a good headline. The headline is what hooks people to remember your postcard. It is what makes the receiver to take a pause and to think about it. Once they are smitten by the headline, it lingers on their minds. Great headlines must be brief, clear, and engaging. It must have prominent features, and it should have the largest font size on the front part of the postcard. 3. Make use of high-quality graphics and images. Striking images and graphics reinforce the message you want to get across to your recipients. It makes your postcard stand out. One thing about a postcard is that it can influence one’s emotions. A postcard with quality imagery can evoke positive emotions. That said, you need to carefully consider the images you incorporate into the card. Avoid using images that are over-the-top, and make sure to include photos that are high-definition. Keep in mind that the quality you see on the computer screen is entirely different from the actual print quality. Personalize your postcard with relevant data since personalization brings forth positive results. The receiver feels as if the postcard is specially made for him or her. For you to personalize the postcard, you need to gather as much information about the recipient. Recipient data come in many forms such as one’s personality, tastes, and preference. Aside from these complex subjective data, you can dig through some highly important information like their first name, promo code or custom URL, a product they recently purchased, and their company name. 5. Promote an irresistible offer. Convincing offers drive people to take action. Promoting an offer is not always necessary, but it can help in signaling a sense of urgency to your call-to-action. For instance, commercials and infomercials compel people to take action by coming up with an exciting unlimited offer. 6. Use a single, concise, and simple call-to-action. You must only include a single call-to-action, which is easy to carry out. You want your receiver to stumble upon your website, buy a product, and be one of your Facebook followers, but the aim of your postcard is to incite a response. Choose the one that matches your campaign goals, then be sure to make it worth noticing. Agriculture is the bulwark of the economy, but it is often unappreciated by most people living in urban areas. 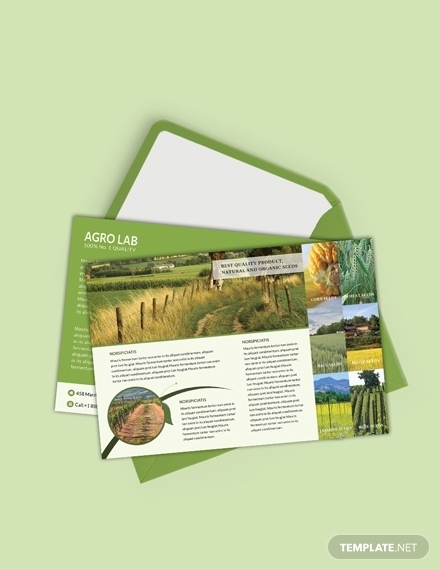 This agriculture postcard relays insightful things to people about the agricultural sector sans the need to process a lot of information. 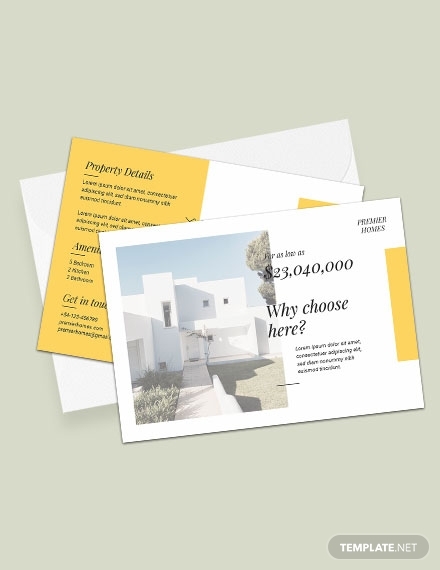 People are thought to be visual-minded, so a postcard with concise information and pleasing visual elements is a perfect thing to make you stall your current activity. People tend to learn through pictures. Take advantage of that fact today by sending this postcard. Do you own a construction business and do you intend to expand your partnerships? Send this postcard to your prospective clients and suppliers of construction supplies. 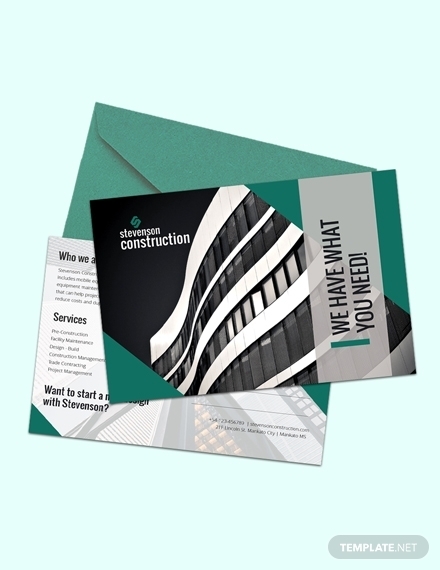 With this construction business postcard, you are detailing your construction business in pictures and with minimal text. Since postcards are easy to read, they’re proven to be effective. 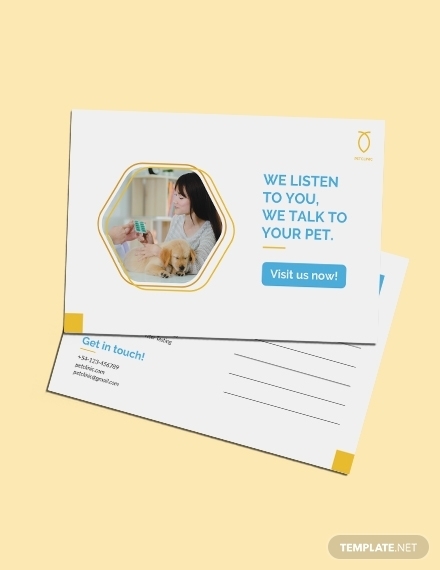 Capture your clients’ attention with this simple and cute pet clinic postcard. This card will surely win the hearts of your clients and their pawed friends. Sending them an adorable postcard is an effective way of marketing your veterinary services. This one is sure to linger on the minds of your clients and their furry pets long after the appointment has come and gone. The touching message on the card will have them calling and filling your schedule! Do you want to expand your floral business and make it known in your area? Achieve it by sending this postcard to potential customers. There are people who wish to send flowers to their loved ones on special occasions or on sick days at the hospital. Sending your clients one-of-a-kind postcards can make them feel valued. 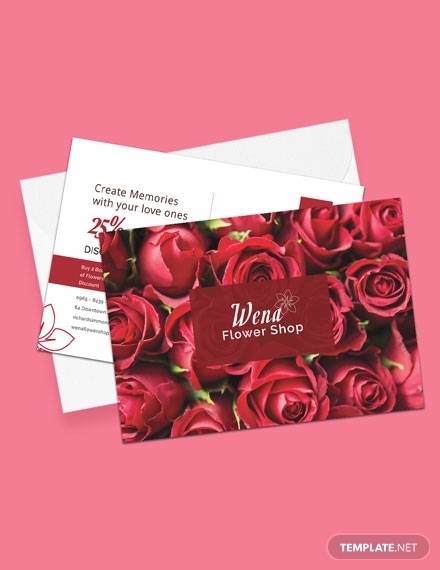 Giving a promotional postcard like this lets them know that you are the best florists in town from flower arrangements to personalized postcards. Treat this as a gift to your customers to win their hearts and minds. 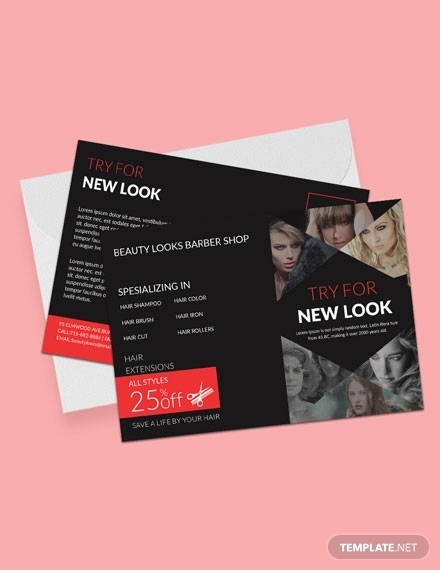 Beauty salons and barbershops use postcards as referral cards since a barbershop postcard has all the information needed to persuade their prospective customers to try their services. A postcard is an effective marketing tool since it grabs people’s attention and it spurs them to check your business out. Do you own a barbershop, and you wish to get more referrals? Send this eye-catching postcard to your potential clients today. The carpet is the most noticeable furnishing inside the home, but it goes through the most wear and tear because of the heavy foot traffic. So homeowners need your services every now and then. Give your clients as much information as possible when announcing your services. Let them know that you can restore their carpets to its mint condition. 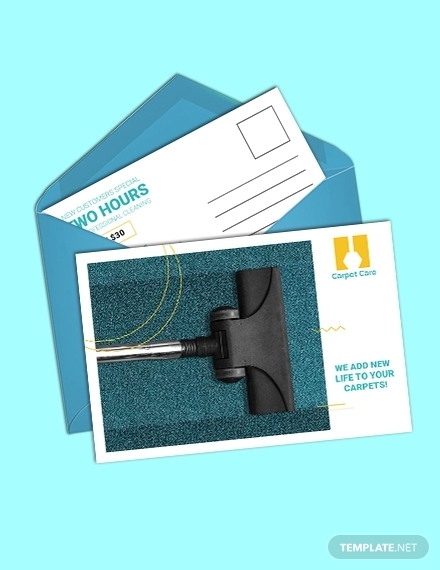 It can be effectively done by sending a professional-looking carpet cleaning postcard. This postcard can motivate customers to try your services without a second thought. What marketing strategies do you use as a real estate agent? Postcards are effective marketing tools used to promote open houses, establish rapport with clients, and to update new listings. Sending this real estate postcard to your potential buyers might help you close a sale one of these days. Invest in a postcard with high-quality images, minimal text, and relevant designs to promote your catering business. Sending a postcard is a way to make your services known in your local area and beyond. 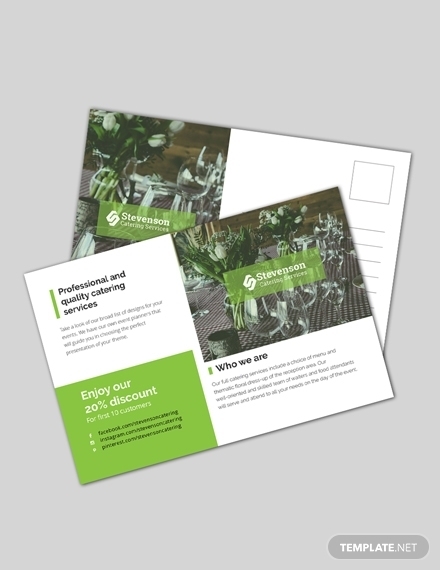 Postcards are ideal for convincing customers to try your catering service because it’s easy to read since one doesn’t need to open an envelope. The visual elements of a postcard can also readily attract potential clients with just one glance. 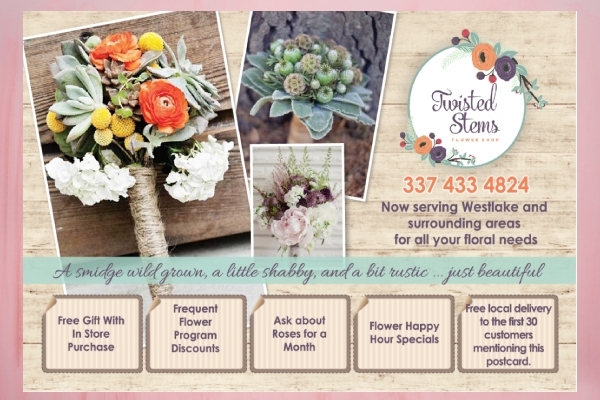 This postcard is specifically designed for a flower shop in Westlake, LA. This floral business postcard clearly follows the guidelines for creating a postcard to boost your business. It crafts a good headline, it promotes a compelling offer, and it uses eye-catching images. This Russo’s Coal Fired Italian Kitchen postcard is very engaging. It can draw in many potential customers because it is visually striking. It also has tear-off promotions that drive people to take action. 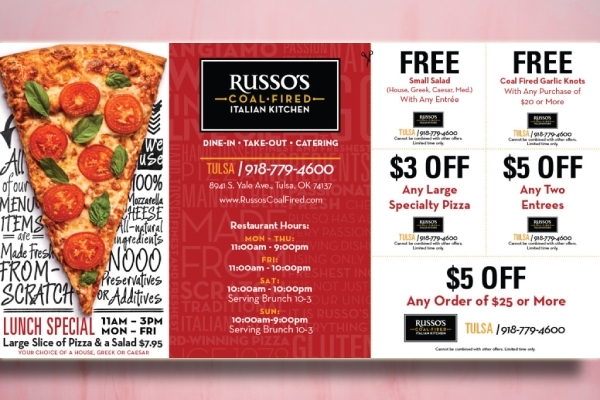 When you promote interesting offers to customers like promos and discounts, they’ll surely be patronizing your products and services, which is why creating a unique restaurant postcard is important.